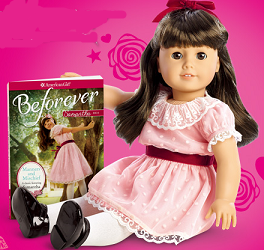 Enter for a chance to win the American Girl Samantha Doll Sweepstakes Giveaway! They are giving away 100 prizes! Ends December 31, 2014. Good Luck! A random drawing to select one hundred (100) prize winners will be conducted on or about January 19, 2015 by an independent judging organization, whose decisions are final and binding on all matters relating to this Sweepstakes. Each prize consists of one (1) Samantha™ doll and one (1) Manners and Mischief: A Samantha Classic Volume 1 book (Approximate Retail Value [“ARV”] $115; Total ARV of all prizes, $11,500).